The year 2016 was full of innovations and emergence of new ideas. It proved to be successful for most of the online businesses. During this year, we stepped into the world of content marketing and published some great content to build, educate and help our audience. This is a review article about what we did in the last year and a good opportunity for you to learn from our experiences. We tried to work on several ideas and to be honest, we didn’t succeed with all. Some of the ideas worked well, some didn’t work for us. Behind the success of every online business, there is always an inspiration of a third party. So to get started with our content marketing process we started with the content marketing handbook. The story of priceonomics, how they built a business turning data into content. The second idea was to compete by implementing technical seo. We got this idea after Hubspot published an article about how they increased organic traffic by over 50% using technical seo. Below is an overview of what content strategies we followed and what really worked for us. You would all agree with the fact that to get appeared on the web, your website must be optimized for search engines. Before we started optimizing our website, we first analyzed our site to see which areas needed to be optimized. Below is the list of things we thought quite necessary to work on the first step. The first thing we noted, our site was not optimized for the right keywords.There were some random keywords related to our industry which were quite difficult to rank. Thanks to some great online tools that helped us dig some specific keywords we could rank for. We already had some content published on our blog page which was generating enough organic traffic. To maintain and improve organic ranking, we had to optimize older content. Adding keywords in the title and wherever it fits in the body, especially at the beginning. Our old content had no header images, so we created some relevant images using canva and reshared our old content on social sites. Previously, we were only focused on few targeted keywords and we published posts targeting those specific keywords. Ever since we determined our audience interests, we stretched out to target more keywords. After analyzing our audience we found that most of them are related to content marketing and digital marketing. So, we decided to cover that niche as well, which in return boosted our site traffic by 23%. Here are some great content we published related to content marketing. Since we created our business site we published articles randomly, often we used to publish a single post in a year. Once we found the trick to rank on search engines, we started to write more and publish content consistently. This helped us maintain our site with fresh and updated content and hence showing google bots a positive impression. The next challenging step for us was to expand our social presence and to be known around the web. We started reaching out all online communities aiming to help other members by answering their questions. This was fairly a good idea to recognize our self among huge audiences and promote our content links. After answering different types of questions on several social communities, we created a separate faq page on our site. This page was created to answer the most critical & aching questions of community members. Below are two popular posts from our faq page. The best way to beat your competitors is by improving your overall site SEO. We already did much to improve site SEO, but here we added meta tags to our site to help google bots better crawl and identify our content. One of our solid reason for writing content is to educate our audience. That’s the reason we started writing how-to tutorials which include installing google analytics on different CMS platforms. So far, our content was just straight without any attraction and shareable content. To improve one step further we followed the market trend and created a few infographics. The purpose was to get more social shares and in return get more traffic. To get more social shares and improve website traffic, we approached people in the same industry to review and share our content. To do this, we analyzed our twitter followers and every time we published an article, we contacted 30 of our followers who work in the same niche to give us feedback. We practiced this technique for almost 2 months but we didn’t get any positive feedback. One of our content marketing purposes was to be able to generate leads. To start this process we created ebooks for tutorial type and technical articles. This was our first step to getting visitor’s information. We are still running this process and so far we haven’t got any positive outcome. Up to this time, we also tried to use a tool to capture visitor email. To get the email address, we tested the tool by allowing it to appear on different areas. Although our website has enough daily visitors but this idea still seemed to be non-beneficial for us. 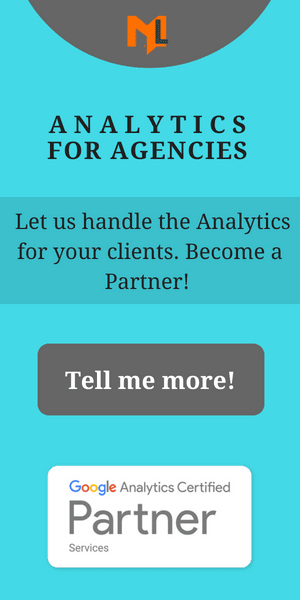 Are you Curious about MarketLytics?